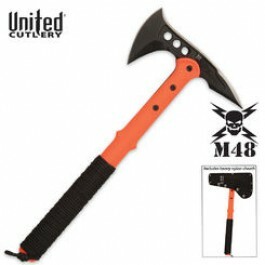 Buy United M48 Kommando Survival Rescue Axe , from Budk - RBC VISA for $58.99 only in My e-commerce. 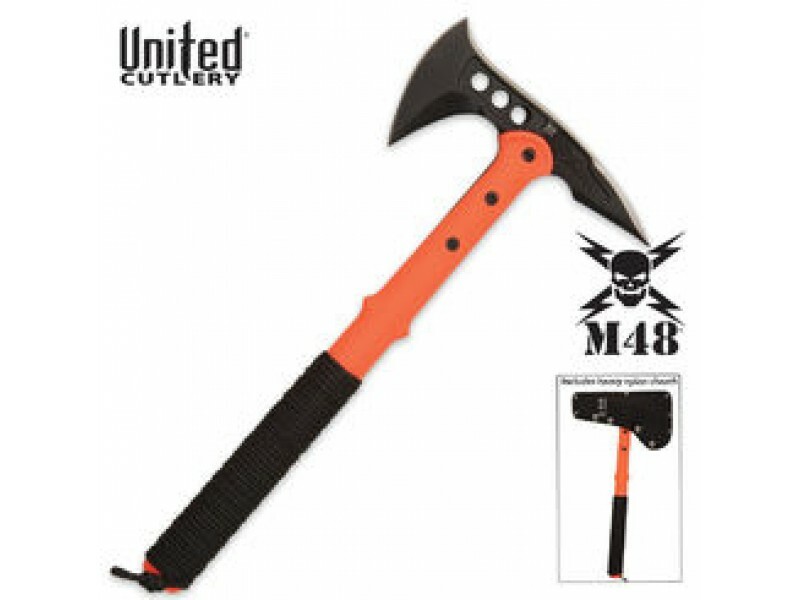 This M48 Kommando Survival Rescue Axe is the ultimate tactical tool. It is lightweight to be carried all day without added muscle fatigue, and the blade of the M48 Kommando Axe offers a wide, upswept axe blade. The axe head is constructed of precision cast 2CR13 stainless steel. When combined with the backside of the head, the spike and axe head make for an efficient personal defense and breaching tool as well as a great camping tool with an extremely fast chopping edge. The blade is securely attached to the sturdy nylon reinforced bright orange handle with 30% fiberglass and three separate bolts. Includes nylon snap button sheath. 8" blade, 15" overall.